For information on each event, see separate listings on the Writers Guild page. This multiple event project will highlight four contemporary poets whose writing explores the meanings of race, history, beloved community and healing. There are six events, starting with a panel open to the public to provide historical foundations of the racial/ethnic groups being discussed and the impact of literature in revealing the experiences of these groups. This is followed by four workshops that offer shared readings, done out loud, of the selected poems accompanied by discussion. 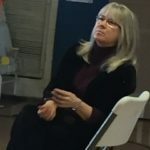 The project will close with a Feedback event, allowing workshop attendees to come together and evaluate the impact of the workshops, and discuss how this work might be continued in the future. 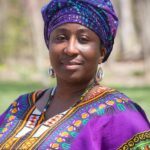 The Workshops are facilitated by Professor Maria Hamilton Abegunde and Patsy Rahn. You are welcomed to come to the Panel and to register to attend any of the workshops. If you plan to come to any of the Workshops we encourage you to attend the opening Panel as well. You will receive a copy of the book used in each workshop you participate in. What is the Lectio Divina process? 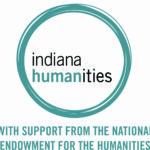 “Indiana Humanities is pleased to award seven new projects through our INcommon Grants, as part of the NEH’s Humanities and the Legacy of Race and Ethnicity initiative. The projects, which will bring Hoosiers together to consider the persistent social, economic, cultural and racial issues that confront our communities, demonstrate how the humanities are vitally relevant for tackling issues in our state. Thanks to The Childminding Shop in the UK for the image of multiple hand prints.